I woke up this morning to find one of those circles that happens if you love to connect people like I do. I was checking facebook, (yes I am one of those folks), and I saw that a pal of mine whom I met through this blog, Ashley at Small Measure, posted a link to a good friend of mine’s blog that is new. 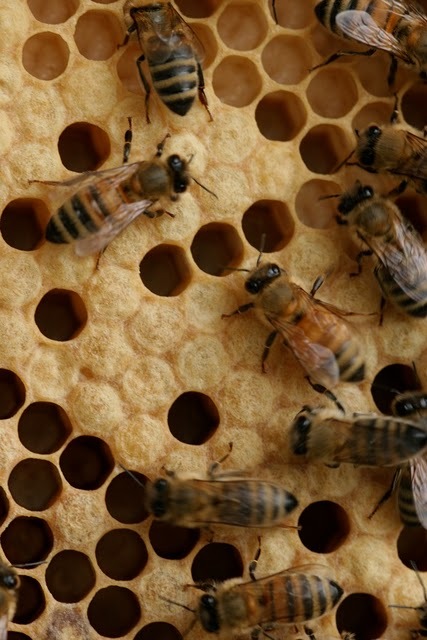 I had just got them in touch with each other last week about bees and now I’m finding things out about his new blog through her! Another connection made. 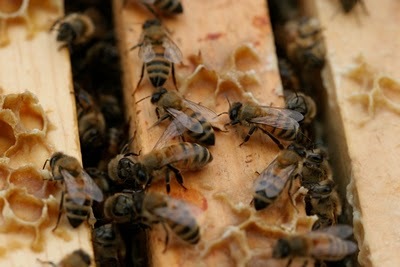 Mr E’s Mysterious Bees, Eli’s blog, is amazing. He is an incredible gardener, writer and photographer and a supreme nature geek, that coupled with a lovely Virgoian obsessive compulsive side, makes his blog a force to be reckoned with. 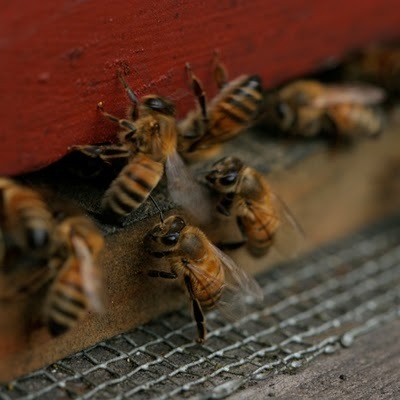 If you want a close up view of raising bees in an urban environment, otherwise known as the Castro in SF, please click on over and read to your heart’s content. Yes, to more resources! I know you’re dreaming of spring garden plans. Recently I was in a nursery and the worker there told me they are cutting back on ordering basic landscaping plants and concentrating more on fruit trees, herbs and vegetable starts. 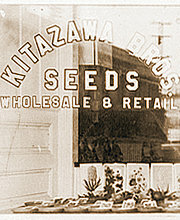 So while you’re considering your summer’s harvest consider ordering some seeds from Kitazawa, a California company specializing in Asian vegetable seeds. They’ve been around since 1917 and their selection is amazing and their catalog is an inspiration all on its own. You can buy individual seed packets such as chrysanthemum greens, shiso, Japanese mugwort and pickling melons, there’s a long index of different crops to try out. But they also have really fun garden sets like the macrobiotic garden, and the shabu shabu garden. The pickling garden is my favorite and includes the aforementioned pickling melon, takana mustard, senryo ni gou eggplant, green cucumbers, daikon, turnips and chinese cabbage. Their catalog and their website both include a large section on recipes to get you even more inspired. Fire cider, even the name is totally exciting. I love making herbal concoctions; I love the alchemy, and the self empowerment of making my own medicine for myself and the folks I love. I’m one of those people that gets completely excited about the most simple things because that’s where I find brilliance. Kitchen recipes like fire cider are especially exciting because of their lineage, and I like feeling like I’m right in the middle of it, participating. Fire cider is a combination of pungent spices and roots that help to fight off respiratory infections, increase immunity and circulation and will undoubtedly keep you warm over the long winter months. It can be used as a tonic to stave off the nasty colds going around. And, it takes not even 10 minutes to make! Before I begin with digestive teas I want to acknowledge the beautiful artwork on the tea towel above by Skinny laMinx from Capetown, South Africa. I love her drawings and it’s no surprise, what with my predilection for vintage teacups, that this tea towel of her drawings of vintage teacups is a favorite of mine. Please go check out her etsy shop by hitting on the link above! So you are most likely going to stuff yourself silly this year, just like last year, and the year before that. It happens to the best of us. It all just tastes so good. Let me offer some herbal advice to help ease those, um, uncomfortable feelings. If you are near an acupuncturist or a good herb store you can go in and ask for the formula called Bao He Wan. It is the go to formula for such occasions as thanksgiving. If this is not available, then making a tea of any combination of the following, or even any of these herbs alone, will help. Ginger, mint, fennel, citrus peel or chamomile work wonders. A generous pinch of each per cup will work. And if you are really prepared and want to make a medicinal dose, then the night before add a big handful of the herbs to a quart jar. Fill with not quite boiling water and let it sit over night. Strain in the morning and you can reheat it after the meal, just don’t let it come to boiling again. Simple & effective. Enjoy your day! I’m so happy to have a special guest post today from the ever-so-talented Karen K. Yes, this is the same Karen K who took the pictures of the swallows in Japan that are so beautiful. Hopefully you’ll be seeing her around here more often! This post is a result of her recent trip to Oakland Chinatown with her Tui Na class. DO NOT USE on inflamed areas or newly injured areas; this formula is for older, chronic injuries that won’t heal. 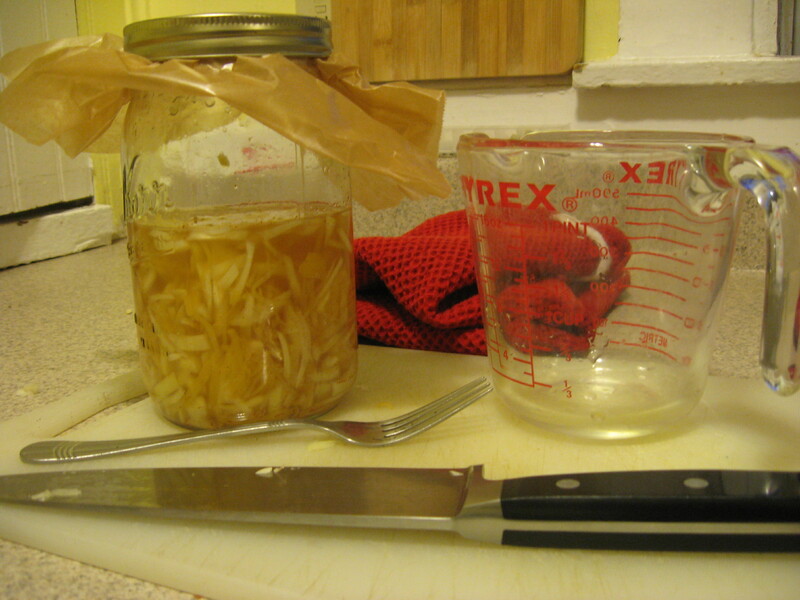 This formula constitutes 1 package of herbs, enough to make 1 soak that will last 7 to 10 days. First, let me apologize for my sporadic posting lately. My acupuncture program is really in full gear and honestly, I’ve just been too tired! But I’ve missed it here so it’s nice to be back this morning. These days whenever I’m at school I make a big cup of medicinal tea to put back in some of those nutrients I’m burning through while trying to pay attention. I thought I’d do a weekly herbal tea recipe here. Since everyone around me seems to be hacking with a cough or burning with fever I’ve been paying close attention if I feel even a bit run down. My favorite recipe right now for preventing a cold when I first feel it coming is elderberry and ginger tea with honey. For 1 strong steaming cup: At least 1 teaspoon dried elderberries (only the black, ripe ones!) and 2 teaspoons fresh grated ginger with a little honey or lemon to taste. Let it steep while covered for at least 20 minutes. It tastes so good and will make you sweat a bit to move that nasty cold out of your system. It’s also a really lovely purple color. This is the asian pear that cost me $3 at the farmer’s market yesterday. I know, I know! I didn’t know it was going to be that much until I got up there and handed over the cash in shock. Yes urban farmer’s markets tend to be more expensive then the grocery store. What is it like outside of these limits? Anyone? So this fancy asian pear has had a photo shoot and it’s pal has already been consumed. 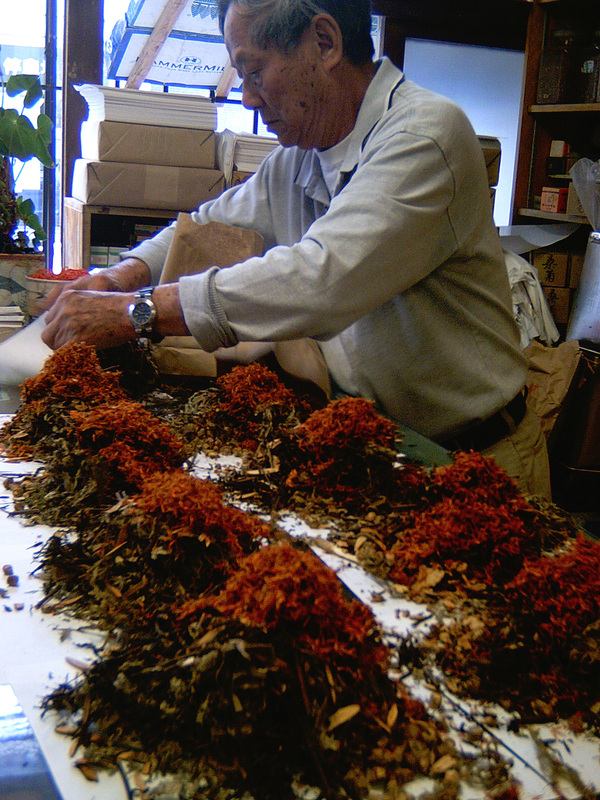 In Traditional Chinese Medicine we learn that the fall is a really drying time for the lungs. This can lead to a hacking cough, a sore throat, dry skin and a scratchy throats. Their lovely solution for this problem is to eat steamed asian pears. Although I bet any old pear could make a stellar substitute. The beauty of this is manifold. You can eat them this way as a preventative medicine, as an aid to help with symptoms that already are ailing you and it tastes really good. Recipe: Cut pear into slices and steam for about 10 minutes, covered. Traditionally you are to add rock sugar before serving. I drizzled mine with honey instead. So simple and really good. And the tickle in my throat is gone. Enjoy!